What's the Significance of the Maid of Honor? What's so special about a maid of honor? 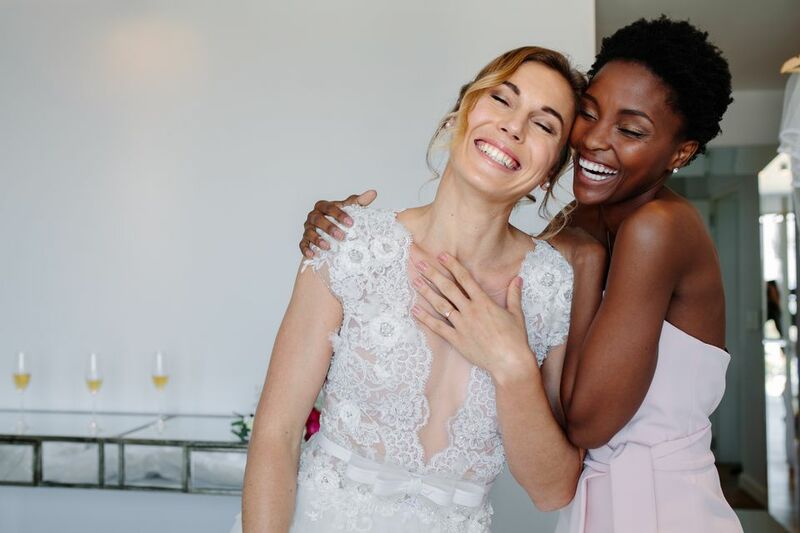 People may have a preconceived notion that a maid of honor can be a demanding and bossy bridesmaid, but the maid of honor typically holds several special duties in addition to some special benefits. The maid of honor is the bride's chief support during, before and after the wedding. What Does a Maid of Honor Really Do? The maid of honor helps the bride with wedding planning, making decisions and navigating family difficulties and other stresses. A maid of honor is responsible for being the head of the bridesmaids, keeping them organized. Typically, the maid of honor leads the bridesmaids in planning a bridal shower and often a bachelorette party. On the day of the wedding, a maid of honor helps the bride get dressed and stay calm. Often, the maid of honor makes a toast or a speech at either the wedding or the rehearsal dinner. Couples getting legally married in the United States frequently ask the maid of honor to be one of the signers of the marriage license. Perhaps most importantly, the maid of honor is a good listener and has a strong shoulder for the bride to lean on. Traditionally, a bride asks her sister or her closest female friend to be the maid of honor. In situations where this is not possible, the bride may choose someone she trusts to be the maid of honor, who will help her during the wedding planning process. In choosing your maid of honor, consider the amount of responsibility they will have and ensure they are able to meet these expectations. You may want to take a closer look at who will do the job best, keeping the family in mind and ultimately going with a pressure-free, gut instinct. Can a Man Fill the Role? Yes, a man is able to be a maid of honor in a wedding. When a woman's closest friend is a man, it makes sense that he be the person that she relies on for her wedding planning, and wants to honor that responsibility. However, you may want to consider how this will change any traditionally-gendered events, such as the bridal shower or bachelorette party. It is up to the bride and maid of honor to decide which events may need to be inclusive of all genders. Does the Person Have to Be Called a Maid of Honor? Whether you have a female or male best friend, sometimes the term "maid of honor" just feels strange. Instead of the term "maid of honor", this role can be called, "bride's honor attendant", or even whimsically, "the bride's sidekick." If a married woman is chosen, she is traditionally called "the matron of honor." Feel free to find the term that best fits the description of your maid of honor. Can You Decode the Secret Language of Wedding Planning Acroynyms? Who Gives a Wedding Toast and When?